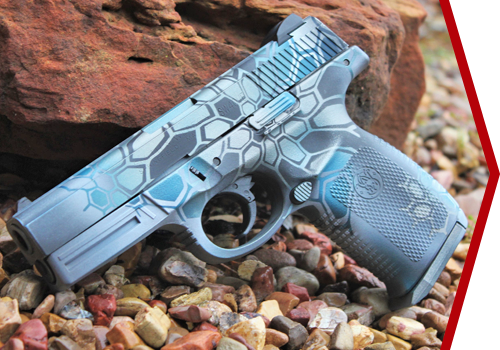 As you will see in the images below, Keystone Arms has a wide variety of color and pattern options. In the galleries you can see our application on AR’s, Rifles, Pistols, Shotguns, and other Miscellaneous items. Please feel free to send us your own images, design ideas, and item that we will be working with for a quote on your custom order.